This is the 30ml refill of the Pur-Sleep Air Candy Essential Oil scent named "Bubble Gum". PurSleep has increased the size of the refill bottles. Refills now come as one 30ml bottle. The child in everyone can enjoy the Banana Berry Bubblegum. 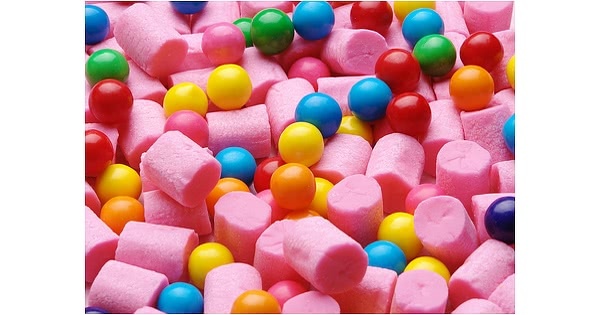 A candy covered delight, Bubblegum puts a smile on every user without causing cavities. The sweet smell of bananas and cherry are reminiscent of cotton candy at the fair.! This is just the refill for the Pur-Sleep Aromatherapy system. The Basic, Standard, Deluxe, and Ultimate Starter packs may be found elsewhere on our site. What does "Bubblegum" smell like? The child in everyone can enjoy the Banana Berry Bubblegum. 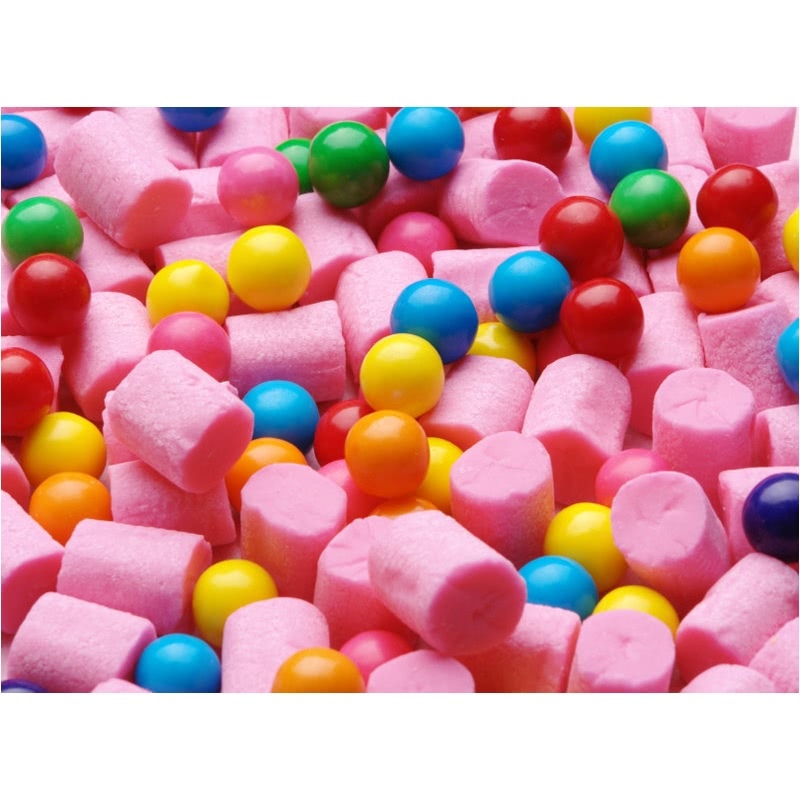 A candy covered delight, Bubblegum puts a smile on every user without causing cavities. The sweet smell of bananas and cherry are reminiscent of cotton candy at the fair. What are the differences between Essential Oils and Air Candy Oils? All of the AirCandy line are high-quality synthetic fragrances. These scents are different from the natural form; for example, the Essential Oils "Creme" is 100% authentic vanilla aromatic derived from real vanilla beans (that's why it's black in color) while the AirCandy "French Vanilla" is a high-quality artificial vanilla. The artificial vanilla is much more common in everyday life. AirCandy products are NOT essential oils; rather, they are very high quality, common fragrances that most people seem to enjoy quite a bit. Indeed. People quickly become acclimated to the scents and research has shown that the olfactory sense basically turns off while you are asleep. You will smell the pleasant aroma when you need it the most; while relaxing and falling asleep and also again when you awaken. Remember, we are talking about extremely small quantities of aromatics (a little goes a long way) and all of the essential oils used in the Pur-Sleep are considered safe for human consumption by the FDA. The Pur-Sleep Diffusion Pads are made of durable fabrics and may be hand-washed and re-used. Simply wash with a mild detergent, rinse well, and air dry. It is highly advised that you do not use any other materials besides the Pur-Sleep Diffusion Pads, which are specifically engineered for use in the diffuser. There is a risk that any other materials may become dislodged or cause problems and the rates of diffusion could also differ if other materials are used. The perception of smells varies widely among various people. It is strongly advised starting with simply one drop of the essential oil and then adding a few more if needed to suit your personal preferences. With these essential oils, the rule "less is more" is applicable. Do not use more than 5 drops. The Pur-Sleep products are not medications nor are they medical devices. They are considered "cosmetics" under the US Federal Food and Drug Act and related regulations. While there is certainly evidence that some essential oils might have a therapeutic value (for instance lavender oil potentially improving deep sleep), essential oils used for their aromatic qualities are regulated by the FDA as cosmetics. The Pur-Sleep products and are in full compliance with FDA laws and regulations pertaining to cosmetics. Essential oils are derived from botanical elements (citrus, leaves, flowers, herbs, etc.) through a simple distillation technique. Pur-Sleep only uses therapeutic-grade highest quality 100% pure essential oils. All of the essential oils used in the Pur-Sleep are disclosed on the label. Pur-Sleep uses only those essential oils that are listed on the "generally Recognized as safe for human consumption" list maintained by the FDA. Please do not use this product if you have concerns about possible allergic reactions or other effects from exposure to essential oils. While the essential oils are safe for human consumption, they are pure and undiluted and might cause irritation when applied directly to the skin or mucous membranes. It is strongly advised to keep essential oils out of the reach of children and please avoid all direct contact with eyes and mucous membranes. You should wash off essential oils with warm, soapy water.